There is nothing more refining to your look than the right accessories. Whether it’s a necklace, ring or bracelet, they all play a crucial part in the finishing touch to your look. 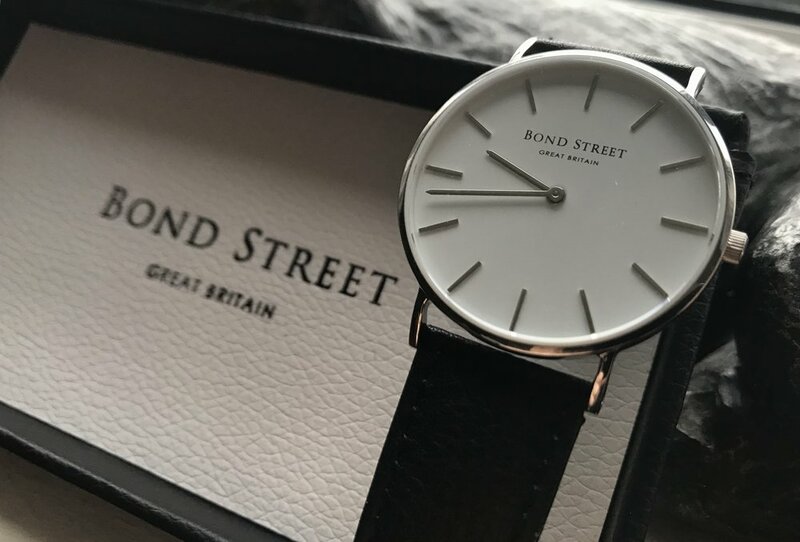 For me it’s this beautiful Bond Street watch which was part of their Mayfair collection that consists of individual pieces to suit all different styles. A watch to me is one of the most important pieces you can own, you can tell a great deal about a person by the watch they wear. If you’re at a meeting, having dinner or just sitting at a bar, a watch is usually one of the first things that catches somebody’s eye, so it’s important to find a watch that supports the versatility of your day-to-day life. I’ve struggled for ages to find the right watch, either the frame hasn't been quite right or the strap didn't seem to suit me, and with the added extra implication that I'm extremely particular when it comes to clothing and accessories. After discovering this one I have completely fallen in love with it's classic design and simplistic features, as Coco Chanel would say "Simplicity is the keynote to all true elegance". You can now shop the Mayfair collection from Bond Street Watches and get an exclusive 15% off using my code JORDAN15 which is valid until 24/12/2017.